Submissions are due October 12, 2018. 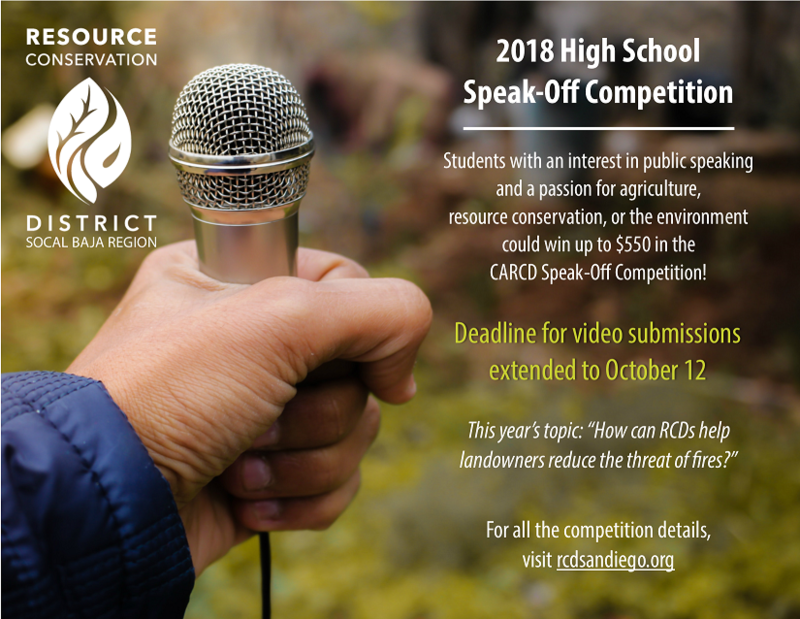 The top three videos will be recognized and awarded a cash prize, with the first place winner advancing to the State competition in San Diego in November. Two internship opportunities at the RCD! High school conservationists in action!